This friendly, accessible and stylish cookbook from a master chef will prove indispensable for all who love unfussy yet utterly delicious food. Simplicity is the keynote in this handsome recipe book, imbued with the flavours of the Italian countryside. 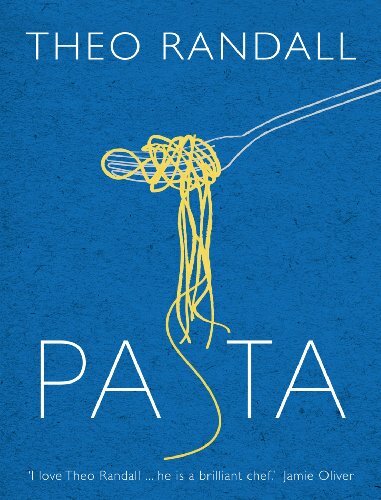 For too long the ingredient in the store cupboard brought out for last minute dinner emergencies, pasta – inexpensive, ever versatile and often underestimated – lends itself to hundreds of fresh and different creations, especially when handled by the truly talented Theo Randall. He believes that the best pastas are the simplest: a plate of tagliatelle with butter and Parmesan can be just as magnificent as a ravioli stuffed with sweet potato and fennel. MY GREATEST PASSION IN LIFE, APART OF COURSE FROM MY PARTNER NATALIE AND OUR CHILDREN, IS COOKING. I first learned about the effort required and the rewards enjoyed by a true food lover as a child. Unlike my peers, who happily spent their holidays buried in sand on the beach or leaping in and out of rock pools, my parents’ idea of a good family holiday was quite different. Instead they chose to drive through rural Italy in their Citro and see how much food and wine they could squeeze into the boot before finally driving home. I guess it would be fair to say that my parents’ enthusiasm for good food and wine didn’t so much ‘rub off’ but rather ‘stuck’ with me. In my early twenties, after a four year apprenticeship with Max Magarian of Chez Max, I was lucky enough to find myself in the kitchen of a little restaurant which had just opened on a stretch of the river Thames approaching Hammersmith Bridge - The River Café. Here I was able to put my relationships with small artisan producers to good use. In 1991 I left to spend a year working with the legendary Alice Walters. Upon my return Rose and Ruth made me head chef and invited me to become a partner in the business. I could have happily stayed at The River Café forever but I always felt that I might look back and wonder if I could ever have done it on my own. So, after seventeen happy years by the river, I decided to have a go on my own. In November 2006 I opened my first restaurant, Theo Randall at The InterContinental Park Lane.